In the left column you can see the weapons we will send each day of the week. 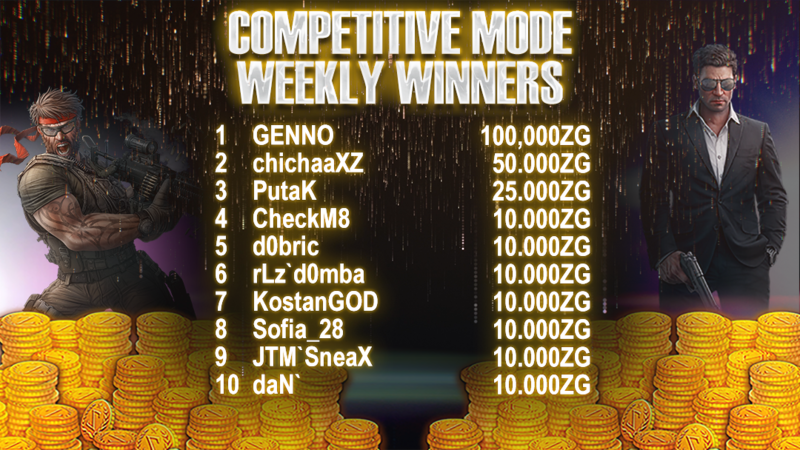 In the central column you have the information about the bonuses that will be applied each day depending of the game modes. 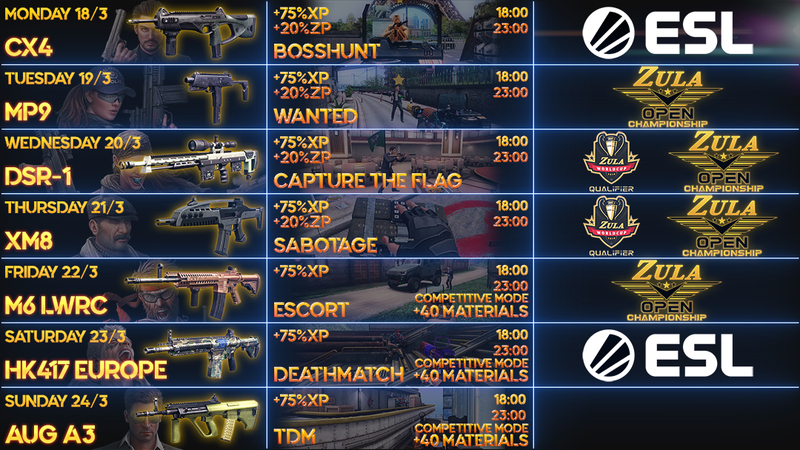 In the right column you will find the different tournaments that will take place during the week, either for you to participate or to watch the streamings. 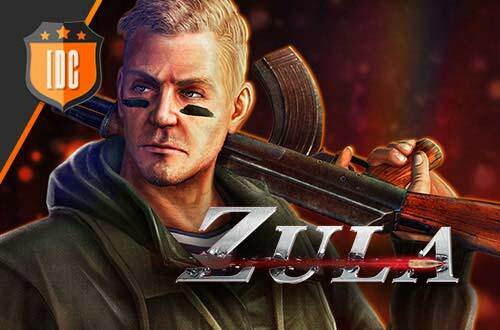 - Earn 100.000 ZP -> 5 Silver Key which opens the "Silver Crate"
For this Friday 22/03/2019 we bring you something very special! 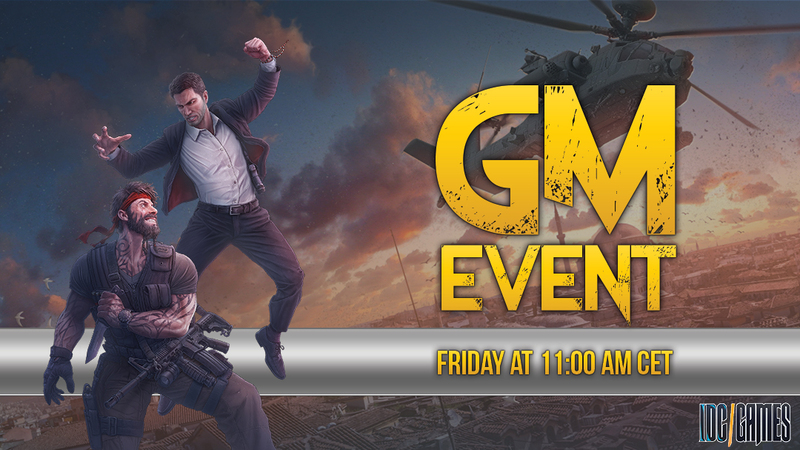 Our GM will be on EU-1 Server 8 from 11:00 AM (CET) to play with all of you! 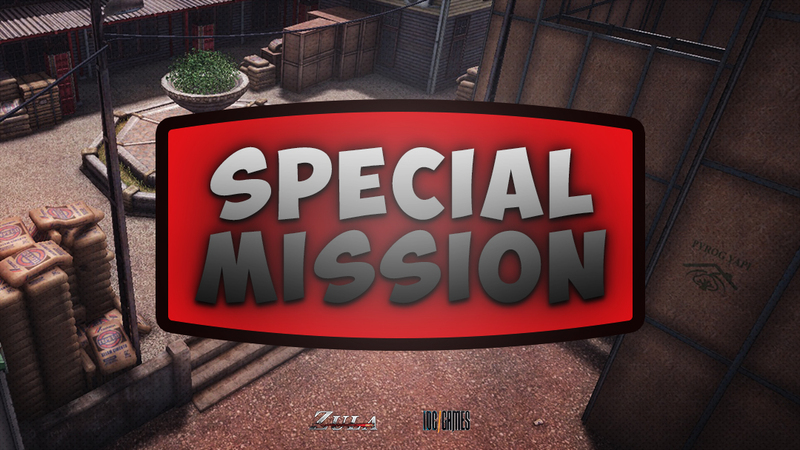 The 3 players with more kills on each match will receive 5.000 Zula Gold. ​VERY IMPORTANT: When a player wins a match he will not be able to play again on the event! Meaning you can only win 1 time in the GM EVENT. -If an user creates rooms with this name to distract other players, he will be banned permanently. -There should be a GM on the room, if not the room is not the official one. - If a player break one of this rules he won't receive any reward. 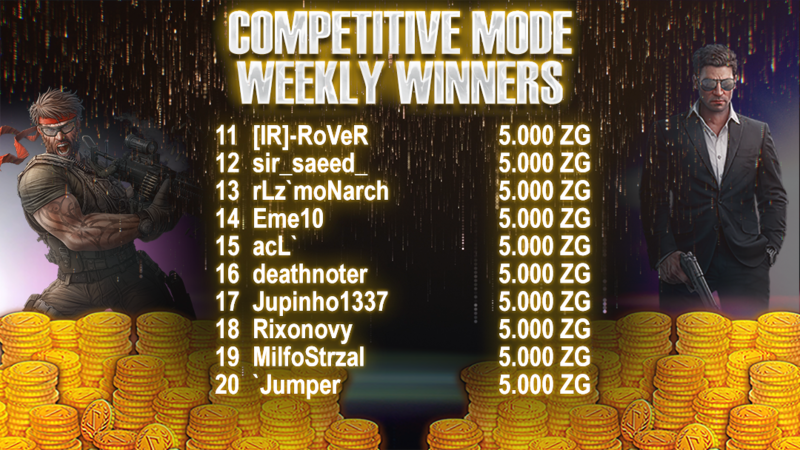 Fight to reach the top this week and get a great reward!